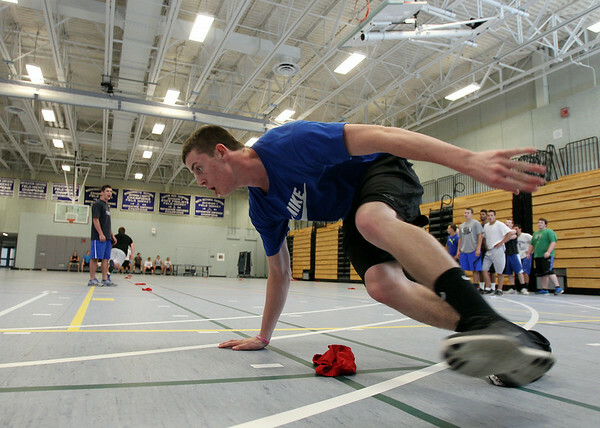 Danvers High School football player Kieran Moriarty flies into a sharp turn while running a drill on Wednesday afternoon. DAVID LE/Staff photo. 6/18/14.